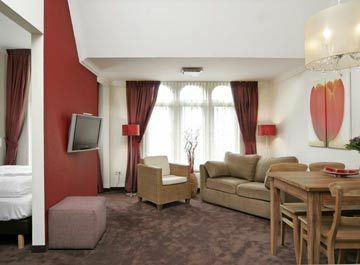 This is a great apartment hotel located in a lovely part of Amsterdam and is perfect for those looking for some additional space. Please note the following however: At Nova Apartments their is no reception nor lobby. Guests need to ring the front door bell and we will open it from the Nova Hotel reception. In the hallway there will be an envelope in the guest name with the key to the apartment and information. With the telephone in the apartment they can reach the Nova Hotel reception for any assistance. 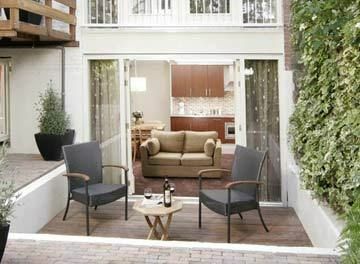 This apartment is located in the very heart of town, close to the famous Rijksmusuem, Van Gogh museum and Stedelijk museums as well as within walking distance to the fashionable PC Hooftstraat with its designer boutiques, Leidseplein with its Holland Casino and famous nightlife, the delightful Vondelpark and many other tourist attractions The apartments are in excellent condition and offer immaculate accommodation, all with fully equipped kitchens and daily cleaning. 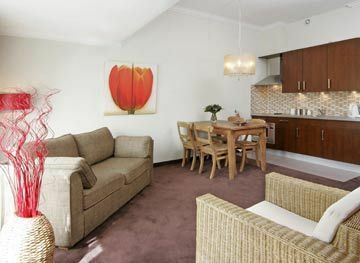 Some offer gardens but these rooms can never be guaranteed although any apartment will give the guest enjoyment and benefits from all the mod cons one would expect from a first class property. It is a beautiful building on a residential street and consists of a few typical Amsterdam houses Their is no restaurant in this apartment hotel but it is on the doorstop of various cafes, restaurants and gastronomic restaurants Their is a very small hallway where guests will find their room key in an envelope on a table.